ASTANA – Thinking of Kazakhstan would bring Almaty, Astana or Shymkent to one’s mind, yet there is a place of equally significant importance to the young Central Asian nation. Baikonur, in the country’s south-western area near the Syrdarya River, once a secret location used by the Soviet Union to build the world’s first and to this date largest space launch facility, still remains a mystery both to locals and foreigners. Home to more than 70,000 people, the city’s recognisable name is largely due to the Baikonur Cosmodrome in Turatam village, approximately 40 kilometres to the north. It is currently one of only two places in the world that sends humans into space; the other is Jiuquan in China’s Gobi Desert. “Baikonur is a small and closed town located not far away from the cosmodrome and the Syrdarya River,” said Baikonur native Gaukhar Zhakazhanova. In 1954, Soviet officials tasked researchers to identify a suitable place to locate a launch pad facility, an ambitious plan for the union. With its sparsely populated territory, sunny climate, close location to the railroad and relative proximity to the equator, the region became the perfect place for the country to make its space development objectives real. The town’s rapid growth occurred in the 1980s due to the active development of various space programmes, spurring an increasing inflow of specialists from across the Soviet Union. 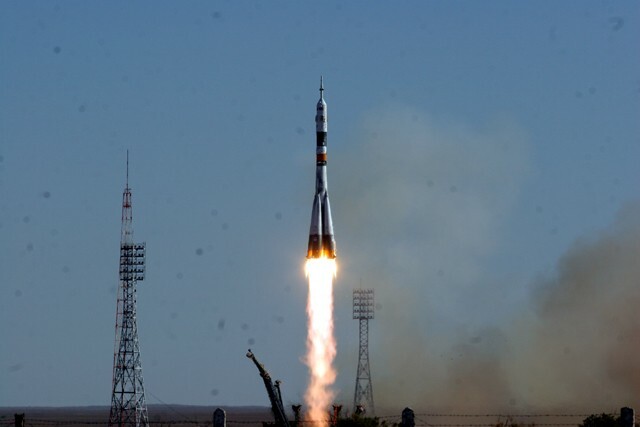 The state dissolved in 1991, however, and as the space industry was a major contributor to Baikonur’s development, the subsequent decline in launches and exit of specialists resulted in stagnation. Baikonur remains of paramount importance for Kazakhstan, as Russia is leasing the cosmodrome for $115 million a year until 2050. The town is regulated by Russian legislation and the Russian ruble is common currency. “There is a checkpoint at the entrance to the city. All residents must have their permits with them that are given by the city administration if you have an address certificate,” said Zhakazhanova. Baikonur is quite a difficult place to visit both in terms of geography and legislative arrangements, yet traveling there can turn into a lifetime adventure. The special geopolitical situation also requires special travel requirements. 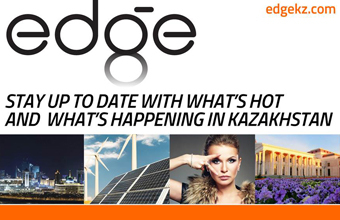 In addition to having a Kazakh or Russian visa, depending on departure location, a permit must be obtained from Roscos at least 60 days before the planned trip. The document is reviewed at all checkpoints near the entrance to the city. Visitors planning to attend a rocket launch must also obtain a permit from the Russian space regulating body. The easiest way is to contact a tour agency that will carry out all the procedures. 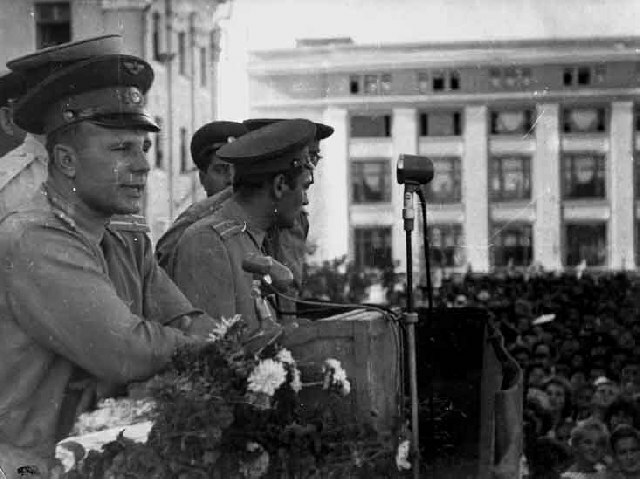 Some agencies also offer trips that include visiting the launch facility; touring Gagarin’s Start launch pad, from which Yuri Gagarin, the first human to fly into space, flew on April 12, 1961 and a guided tour of the space history museum and memorial houses of Gagarin and prominent Soviet rocket engineer Sergei Korolev. Applications must be submitted approximately two months in advance. 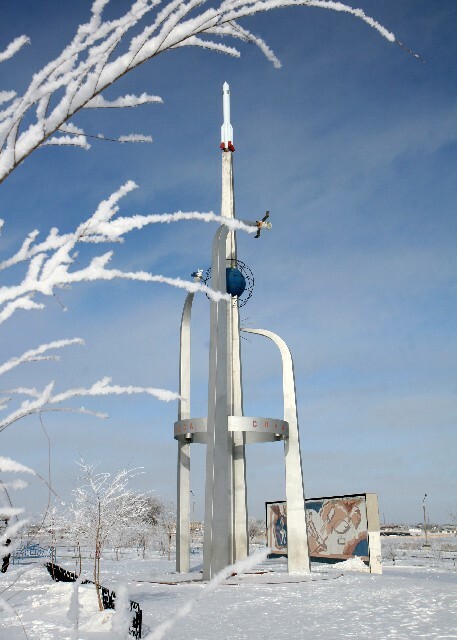 Monuments throughout the town celebrating space industry achievements and famous cosmonauts serve as a reminder of its ever-important role in space development. “I think the cosmodrome, rockets, museums and monuments might be of interest to tourists,” said Zhakazhanova. “Youth often spend time in Arbat, where different concerts and exhibitions take place during holidays. There is also a healing water pond near the river, where people bathe in the summer. People also walk in different parks enjoying fountains,” she added. The rocket launches have an adverse effect on those who suffer from seasonal allergies.